Wow. Beautifully written. Social Media is the KEY to Vegas.That’s how clubs keep their dance floors stocked full of girls… They target Instagram photos of hot chicks using #VEGAS! Anyways… I agree with the beauty needing to be on social media. I am a new cast member of the show (yipee! ), and was just informed that we can’t even take photos with our family in our finale costume. Um… How am I supposed to brag to everyone that I do amazing things with my life if I can’t take a picture?! I asked a stage worker to take a photo of me in a covered outfit and they declined because they were afraid of the repercussions… Ok. There’s something fishy here. Caesar’s should encourage photos! The more we take, the more we post, the more they see! Anyways, a lot of the marketing teams have failed Vegas. While working at Coyote Ugly (I know, a huge difference), we didn’t have an instagram either. And us girls had to go out and promote hours prior to our shift starting by passing out flyers. Vegas has turned Corporate… you’d think they would learn! Wow, it’s unbelievable that they they are limiting photos. I believe the initial rationale for that, when the show opened, was to prevent other people from copying the costume designs. In this day and age, that seems very unlikely, given the expense and derth of showgirl shows. Caesars continues to miss out on the best, free advertising it could ask for! Just saw the show on 8/26/14 and was blown away both by the designs and the high-energy professionalism of the dancers. How long before all of the Strip is given over to the navel-gazing pseudo-profundities of Cirque de Soleil? Would KILL for a video or souvenir booklet. LOVED the Erte-influenced designs. This should NOT be allowed to die, but it looks like that’s what Caesar’s wants. Caesars doesn’t pay their marketing people enough money to think this rationally. There is probably one person marketing all the properties and getting paid minimum wage to do so. I have also been puzzled by the minimal marketing that is done for Jubilee! The show is so visually rich – it’s every marketer’s dream. You have good ideas, you’ve been trained in marketing, you communicate well, and you have a close tie to the show from being in it, so you are the ideal person to be the new marketing director of Jubilee! Here are a few of my suggestions to help you. The current Jubilee! website is nicer than what was there before, but it’s far from what it could be. At the top of the page should be an area that features one of the showgirls, a new one or two every week. It should have a high-quality, professional photo in costume, along with a caption with her name and role and some details such as how long she’s been in the show, where she studied dance, etc. The same should be posted on the other social media pages simultaneously. This will be a weekly treat for followers and will keep Jubilee! on their minds. This is exactly what I hoped to create on my own humble fan page (@jubileefan1 or http://www.twitter.com/jubileefan1), but I have been unable since only a few cast members have been kind enough to share photos, and I’m outside of the show, so I don’t have many names or details. Programs are a great idea. However, I hate having to hold onto a book while watching a show, so do this: Give everybody a postcard when they enter the theater and a free program when they exit. The postcard should have one of 10 or so different photos, and the back should have the website and social media addresses and a few words about the show. It’s something people can look at while waiting for the show to start and let them know to get a program afterward. Items in the gift shop are a great idea too. At the top of my list are: a calendar, picture book, posters, nicely framed signed/numbered high quality photos of the show, and T-shirts. The calendars should have photos of one or a few cast members, not full-stage shots. The picture books should be similar to the ones Disney makes for their animated films, but more full page pictures and fewer words. Keep the price to $35 or so. Every piece of merchandise should be high quality and classy. The theater entrance could be made a little more grand and inviting too. Nothing over the top, just remove some of the slot machines on the wall and make it a little wider and more lit up. People in the casino should be able to notice it’s there. I’m not a big fan of the idea of bringing in other celebrities to draw attention to the show. Jubilee! is capable of generating sell-out crowds on the merit of its own cast. 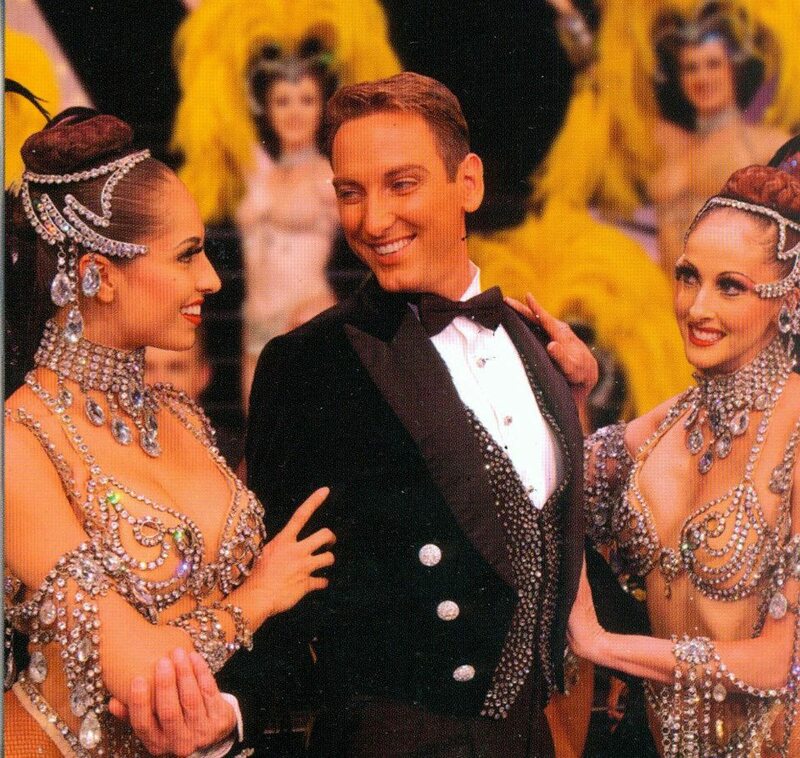 The current approach of PR appearances of a couple showgirls at restaurant grand openings and other Vegas events might get a little attention for the show, but they don’t motivate people to see it. The showgirls are out of their element there, and a key point is these are other organizations’ events. The showgirls need their own venue. Here’s what I propose: Once the Ballys long-deteriorated, non-moving-walkway entrance is torn down, make an area there, right at the Strip, where showgirls appear nightly – in the spotlight! Right after the first show, 5 of them in finale costumes (the white ones especially) are escorted out to this area in the dark, and then the bright spotlights are suddenly turned on, making daylight off of them. They stand there for 30 seconds, and the front one says “Come see us tonight at Jubilee!” Lights shut off immediately, and they are escorted back inside. People will be able to see what those rhinestones and feathers are all about. That’s what will pack the theater. That’s what will showcase the beauty, color, light, and magic of Jubilee! I couldn’t agree more! I’ve had the pleasure to have worked in Jubilee and it’s predecessor Hallelujah Hollywood as a crew member. I’ve always believed in Jubilee, and feel the connection it has to a better time. Why degrade that fine lady for a lack of marketing. Jubilee is a real gem in an ocean of spandex. Don’t drown her. 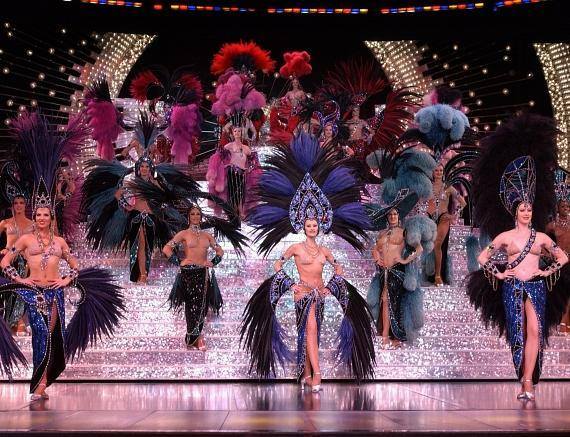 As a NYC performer I used to come to Vegas often usually only to see JUBILEE!, usually twice in one night! I am truly saddened to see the old show pass on; but saying that, will give the new one a chance. Still, SHAME ON YOU CEASER’s ENTERTAINMENT! You had the Vegas equivilant of NYC’s ROCKETTES and it had years left in it! But the only thing constant is change; so do the new version right! Amen to all above comments! I have seen Jubilee more than two dozen times over two decades and continually recommend it to friends visiting LV. It ‘is’ Las Vegas and LV should not be abandoned on how it began. A total class show all the way around. I think you have definitely hit upon a major issue ‘marketing’ but if the ‘suits upstairs’ are not interested in the show, I know marketing won’t be allowed. I experienced a similar situation down at the other end of the strip ten years ago. We now live in the world of corporate mentality. Our ART is quickly slipping away for the sake of corporate greed. Shame on Caesars for falling into a similar pattern! My admiration and respect go to all the performers and backstage folk who have done a yeoman’s task in keeping this show attractive. My sincere hope is that something positive will come out of this current situation and/or someone will come along who will recognize and covet this gem. I have seen the show about a dozen times and it never got old or boring. It saddens me that the management of Bally’s or whoever was responsible has closed the show. How someone can expect any show to survive without proper marketing is beyond me. Bring the show back and market it and you will see positive changes. The same thing happened at “Les Folies Bergere”. Upper management didn’t like the show and they thought they could do better. Fast forward 5 years, all those executives are gone and they still have an empty showroom. When you can’t figure out how to make money on a paid off 49 year old piece of history then you’re in the wrong job. Andrea I am an Aussie and i visited Vegas several years ago and must say i missed finding out about this show while i was there, although we were looking for traditional showgirls. Your article identifies some really great options just waiting to be used. I hope this has been bought to the attention of someone who can affect change and that it’s not too late because it will be my first choice on my next visit!!! Thank you! Excellent article!!! Very well thought out and explained! I’ve been saying this for years! NO MARKETING …NO AUDIENCE. They are so dead set against advertising, yet 3 years ago, the hotel spent around $240,000 for new Titanic pier costumes – Each one was $10,000! – And those to be seen for all of two minutes! They’re beautiful, but what a waste, and the hats were so heavy they were causing injury to the necks of some of the girls. Not good allocation of funds. They hire performers from around the country, but pay them nothing for travel and relocation. They plan to close the show, but don’t tell any of the employees that started last August that they don’t plan to honor the term of their contracts. They fire a big chunk of the cast, some with over 10 years experience, with 10 days notice. Thank you, Lisa! Jubilee! is such a visual product, it was born to be on social media! Excellent article. Thank you for spelling out the obvious to all of us in the Vegas entertainment industry. Obvious to us, but as you stated, not to the marketing of the most iconic statement and final example of a classic Las Vegas show. I’ve worked with thousands of performers in showrooms all over the world, and still the world finds Las Vegas as the destination for entertainment. Let’s try and keep the one show remaining in Las Vegas that represents the glamour, classic beauty and expertise of the hard working performers, the show’s crew and management that keeps the show in pristine condition for the millions of visitor that come to this town… keep it on stage for people to experience and enjoy without trying too hard to make it fit into a newer generation of what is hip and cool. Keep it true. Thank you, Mistinguett. You are so right about crew and management keeping the show in pristine condition. They are truly unsung heroes!